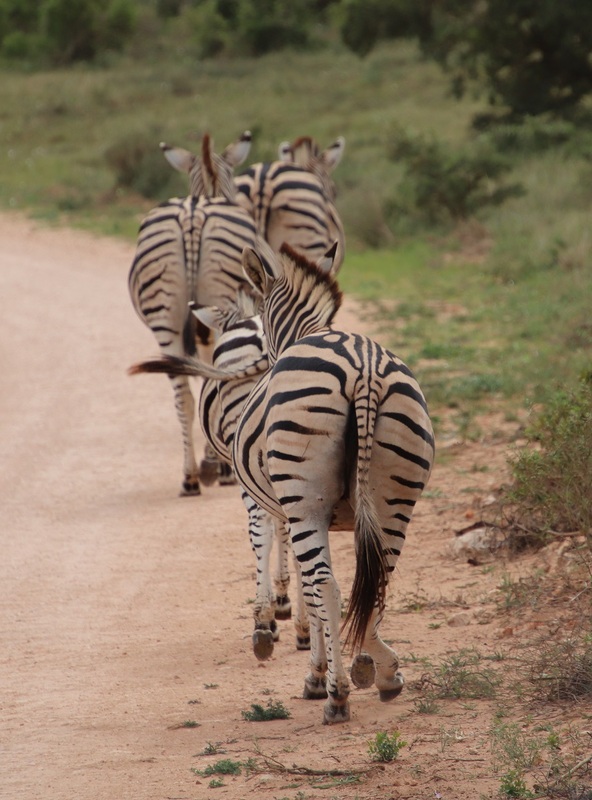 It was only when these zebras started trotting along the road ahead of us that I noticed that the back foot of this one was twisted at an awkward angle. 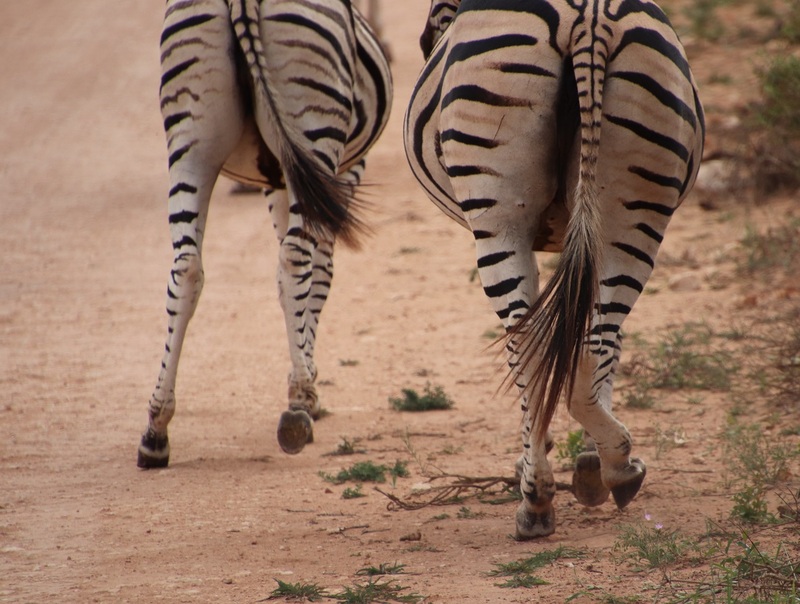 The twisted back foot is evident when the zebra is at rest. In all other respects, it appears to be perfectly healthy. 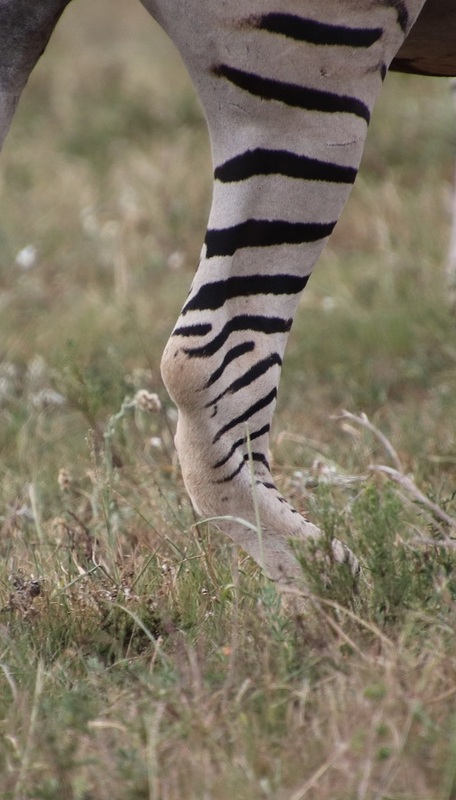 A close-up view provides no clear answer as to what might have happened: was the zebra born with this deformity? Perhaps it twisted its ankle or broke it some time ago. 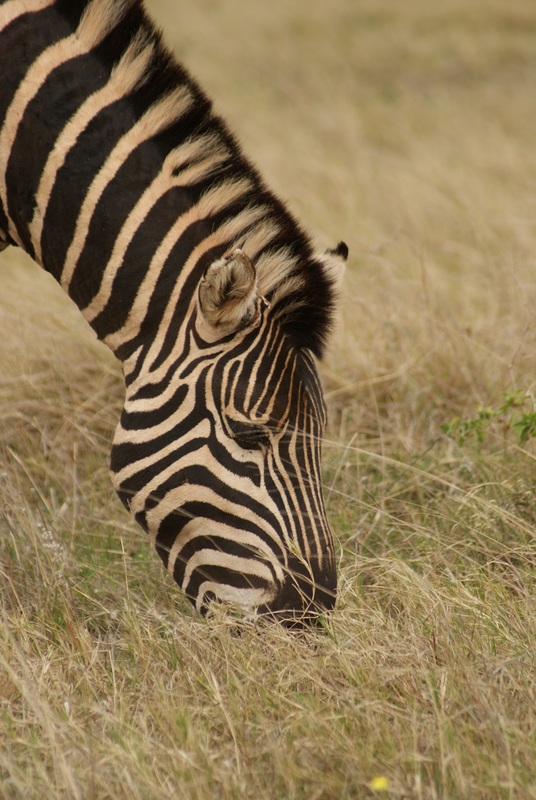 Whatever the origin, this zebra has learned to live with it. Although it brought up the rear when they trotted along the road or through the grass, it wasn’t far behind. NOTE: Please click on a photograph should you wish to see a larger view. I don’t blame this Brown-hooded Kingfisher for not looking at my camera – it had a far larger ‘landscape’ to look at! NOTE: Click on the photograph for a larger image. 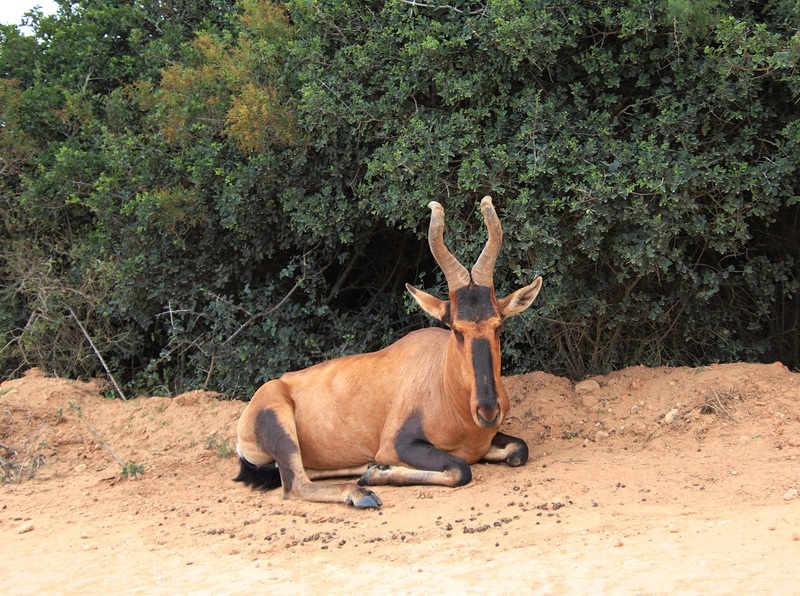 Here is a Red Hartebeest (Alcelaphus buselaphus caama) sitting comfortably next to the road in the Addo Elephant National Park. Judging from the droppings surrounding it, it had been there for some time and showed no intention to move. You can tell it has been sitting very still by looking at the flies on its eye and nose. It did not appear to be bothered by them when I parked next to it to take photographs. 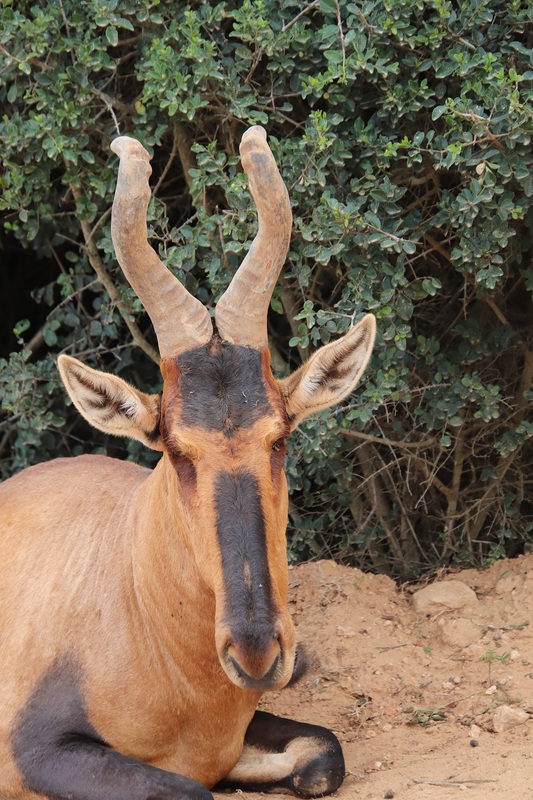 As you can see, these antelope have long narrow faces. The rather soulful look of the adult can be seen in this youngster too. Here is a mother with its calf. NOTE: Please click on a photograph if you wish to see a larger view. 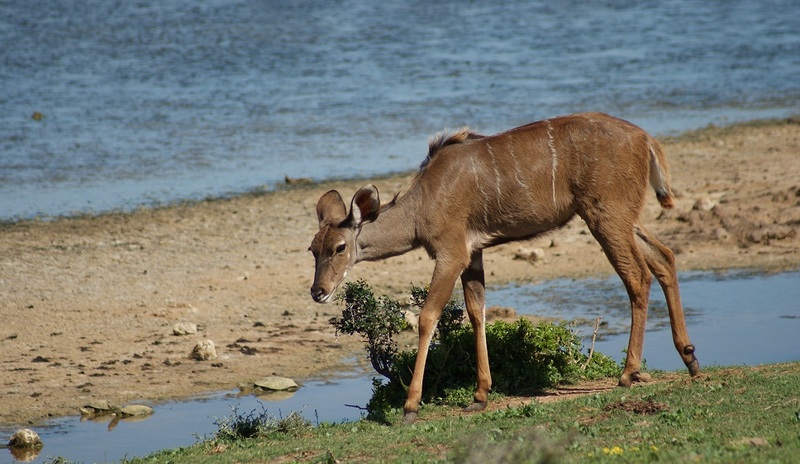 One of the most majestic animals we see is the Kudu (Tragelaphus strepsiceros). They carry themselves so elegantly and look at one seemingly with the confidence born of knowing they are a cut above the rest. 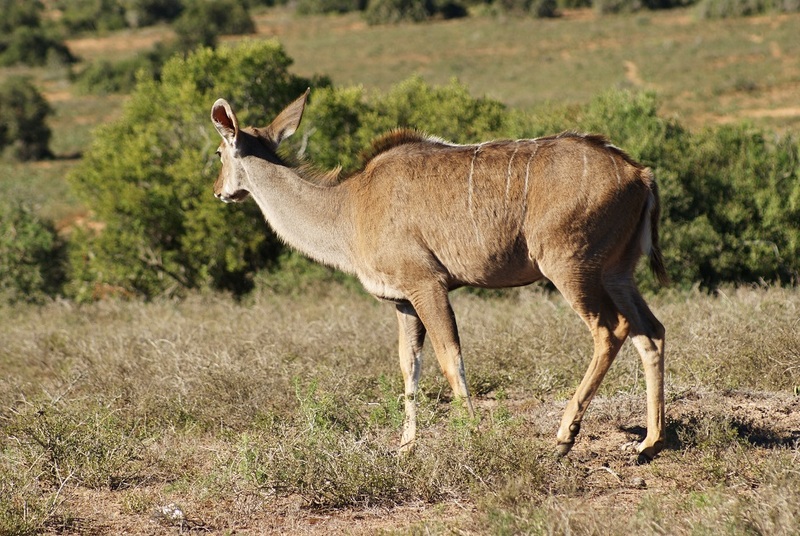 Look at the colouring of this beautiful female kudu with its tawny brown body, greyish neck and the stripes on its back. 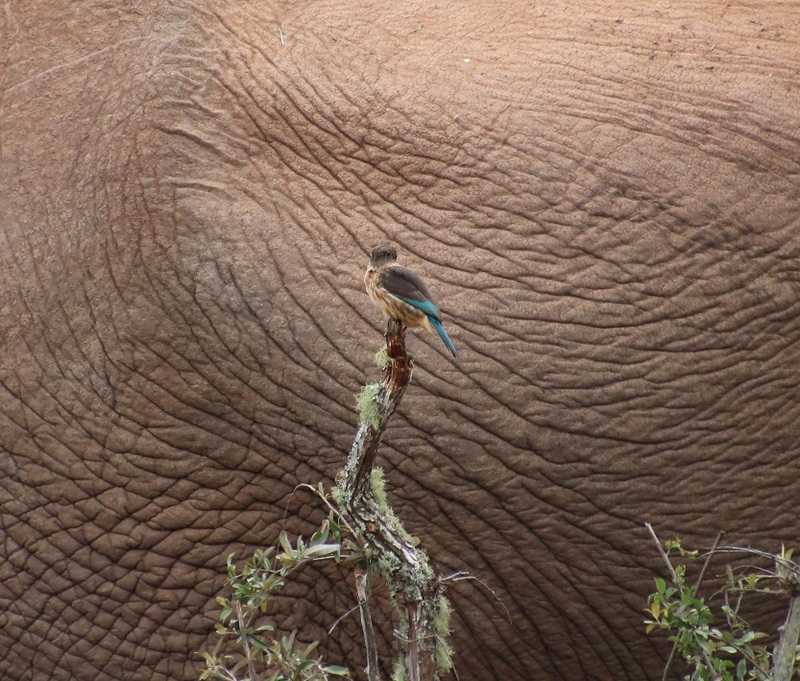 Both males and females have a conspicuous hump on the shoulder. Note the fluffier fur of this immature kudu. 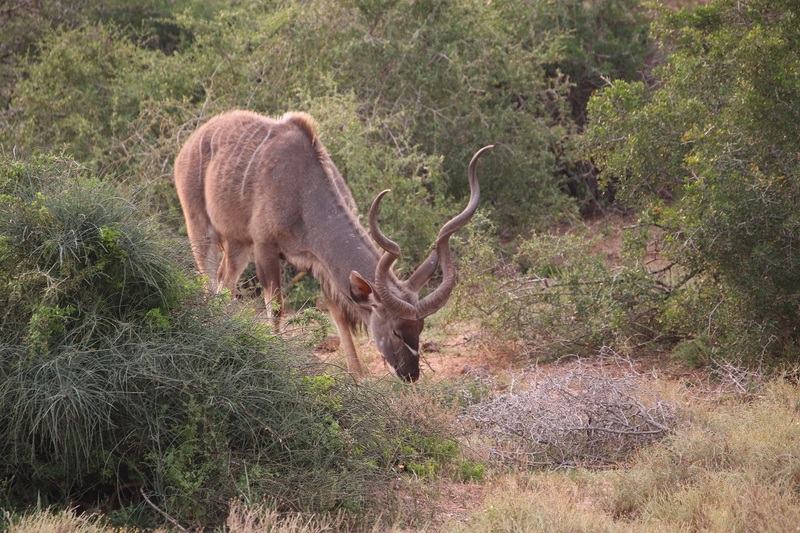 Only the male kudu has horns. 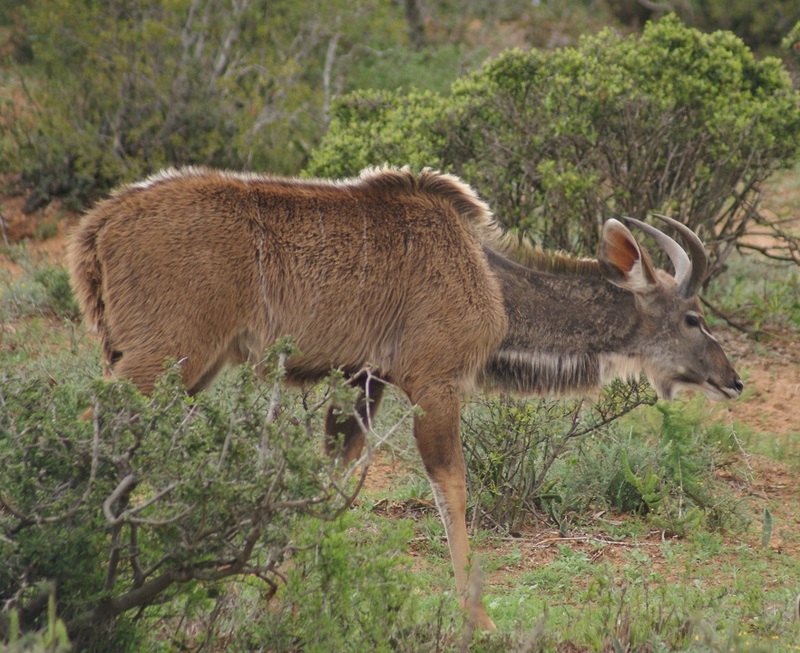 You can tell this is a young kudu bull for its horns have not yet started to twist into the familiar spiral pattern. 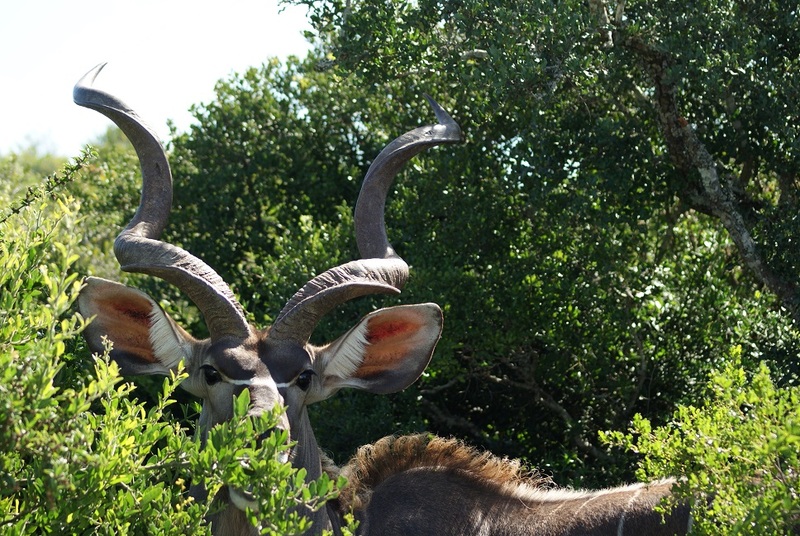 The spectacular horns of the kudu are used to fight each other for the right to mate with females. You can see this pattern in the image below. Note the chevron-shaped white band across the face too. Kudu are large antelope and rely on their disruptive colouration for camouflage as the stripes help their bodies to blend into the background – from the perspective of possible predators. They sport a mane of long hair from the back of the head to their tail that helps to disrupt their outline. An interesting characteristic of kudu is their large ears. NOTE: Click on a photograph to see a larger image. 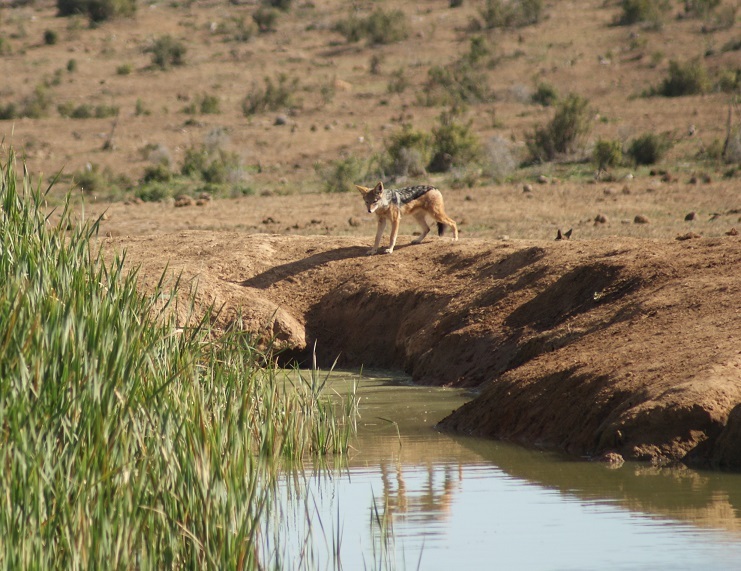 This Blackbacked Jackal was approaching the water at Hapoor in a very contemplative mood – it stood there very quietly for some time, possibly aware of the many elephants splashing just the other side of the reeds – before it made its way down the the water in a slow and cautious manner. It displayed patience such as few of us have when we are thirsty. 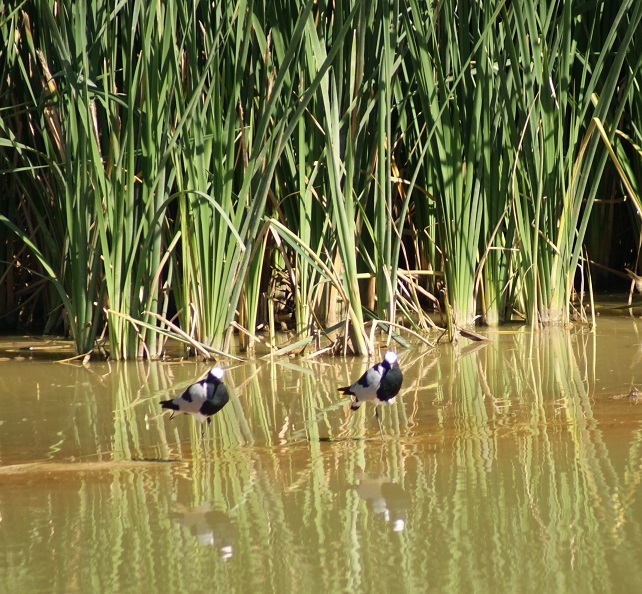 These Blacksmith Plovers (now called Blacksmith Lapwing) are standing on a barely submerged sandbank in front of the reeds at Hapoor – doubtless enjoying a respite from all the elephant activity that this waterhole is well known for. 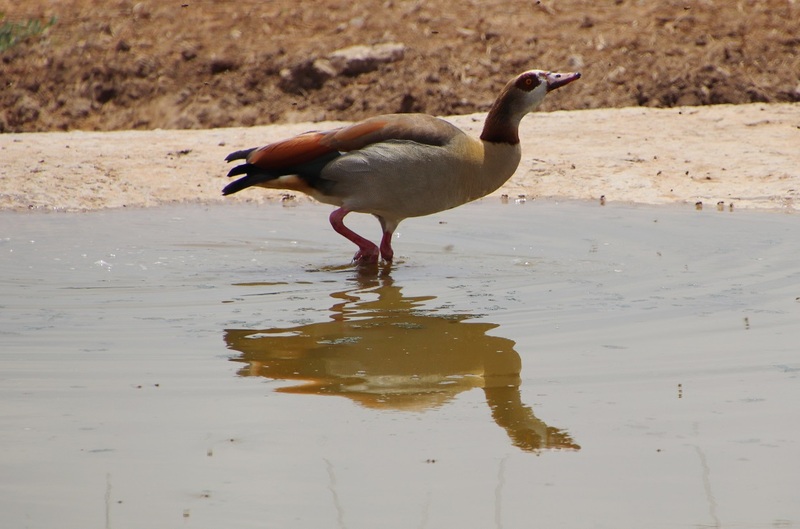 An Egyptian Goose enjoying a drink at the Carol’s Rest waterhole. 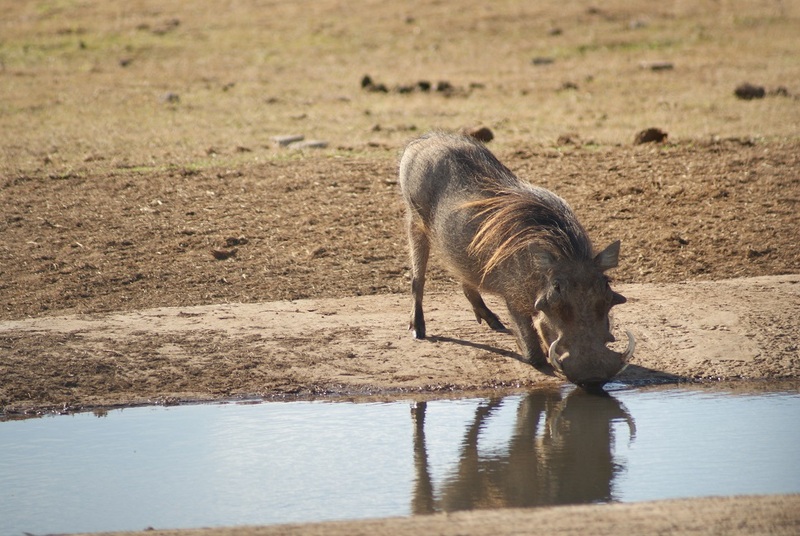 Another thirsty visitor at Carol’s Rest is this warthog. 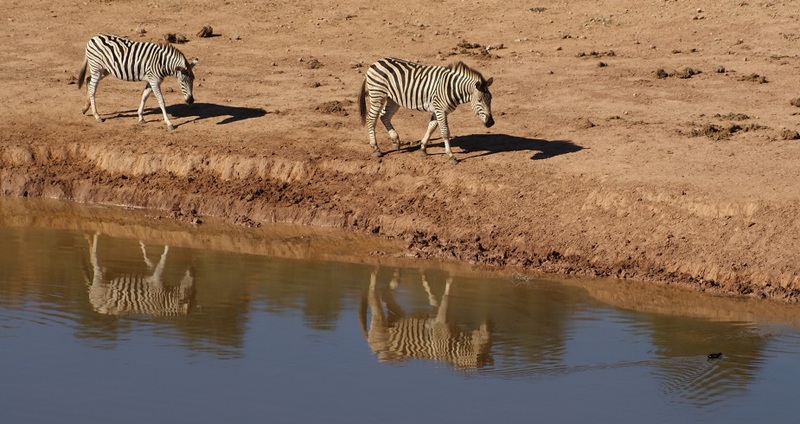 I will leave you with these zebra walking along the edge of the Domkrag waterhole in search of a suitable drinking place. NOTE: Please click on a photograph if you wish to see a larger image. 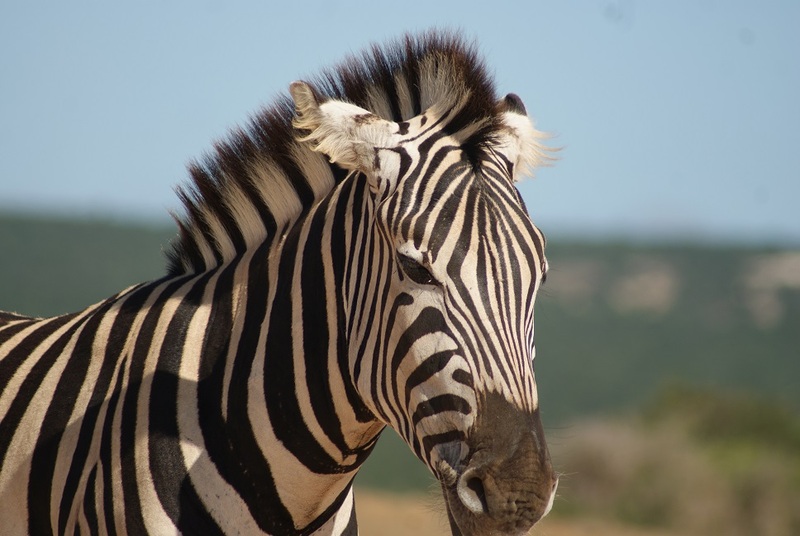 We can all recognise a zebra when we see one. 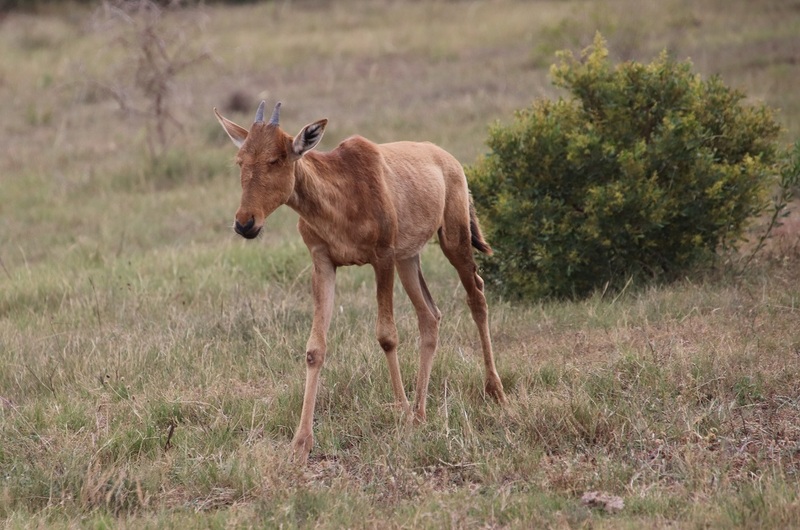 I have noticed that, unless they are very close to the road, many visitors to game reserves ignore them: seen one seen them all, sort of thing. Look at them more closely though and you begin to notice interesting things about them. 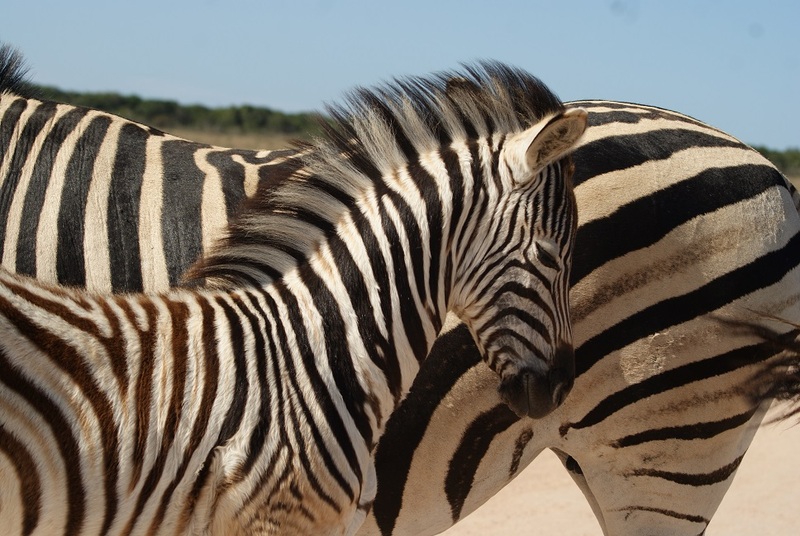 If you come across a zebra foal, the first thing you will notice is that its fur is fluffier than that of the adults. 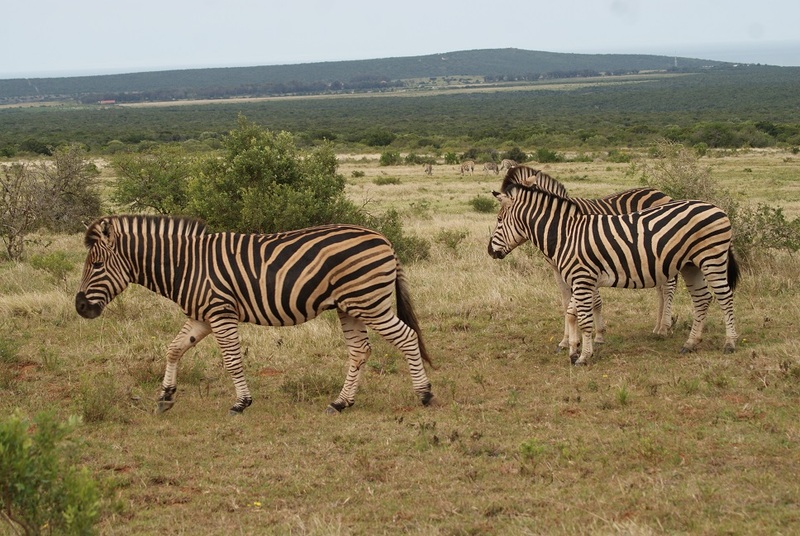 I have heard visitors refer to the black patch on the inside of the upper front legs as glands (see the leading zebra in the photograph below) – actually they are thick callouses (called ‘chestnuts’) which protect the sharp edge of the hooves from damaging the muscle or cutting into the leg when the zebras lie down. 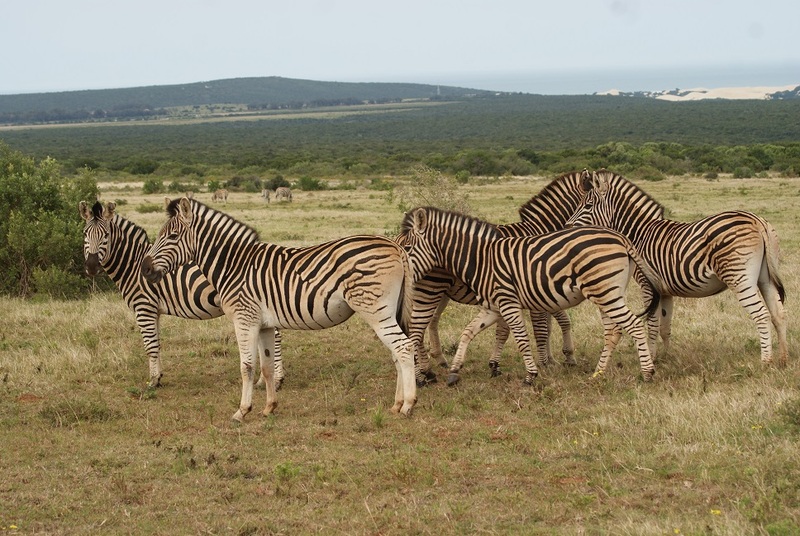 One of the more endearing sights is to see zebras standing with their heads resting on each other. I am sure I am not the only one that interprets this as a sign of affection. It certainly looks like that. 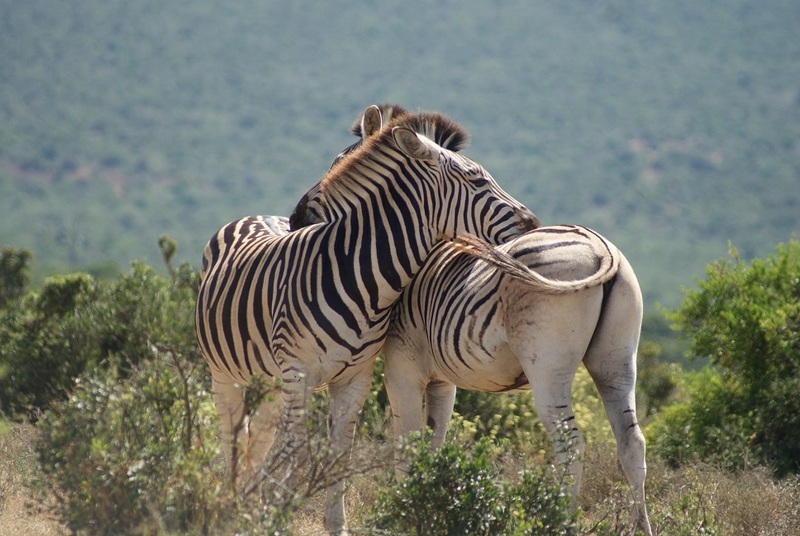 Trevor Carnaby, in his book Beat about the Bush: Mammals is much more prosaic and explains that this is more likely to be a safety mechanism, with the possible advantage that the swishing tails keep flies of the faces of each other. I rather like my romantic notion. 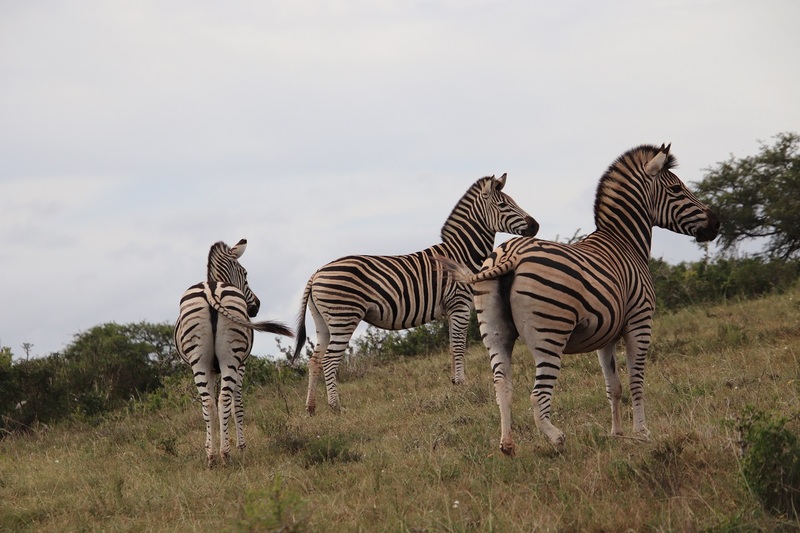 There are many more aspects to observe about zebras, but they can wait for another post. NOTE: Click on a photograph if you wish to see a larger image. The slaughtering of rhinos for their horns is a sad phenomenon that has swept through this country for years. Money and manpower is invested in protecting these beautiful creatures that might otherwise have been deployed elsewhere. It is not a simple matter of trying to catch poachers before they harm an animal: killing is involved – of both beast and man. Some sources have described the situation as war. 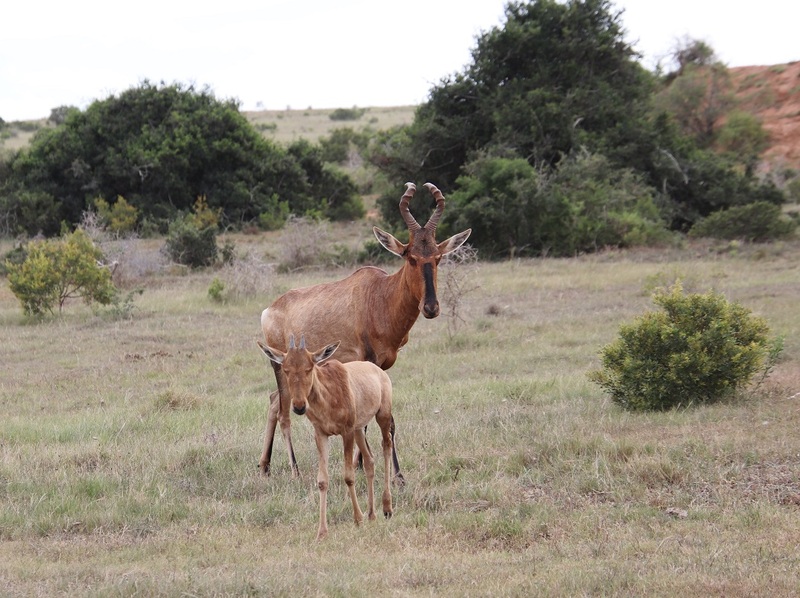 Several game sanctuaries in the form of national or provincial parks and private game reserves and game farms are within easy reach of the town I live in. Some of the people who work there live in this town, or shop here, or send their children to school here. When a rhino is slaughtered nearby, sections of this community feel the pain as if it were their own: we mix with the people for whom the sadness is very real. 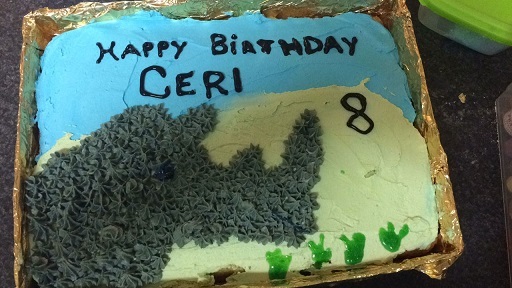 So it is that the fate of the white rhino has become close to the hearts of our community and their plight is felt even by young children, who have shown their concern ranging from celebrating the rhino on birthday cakes. To raising funds and awareness on a much larger scale. 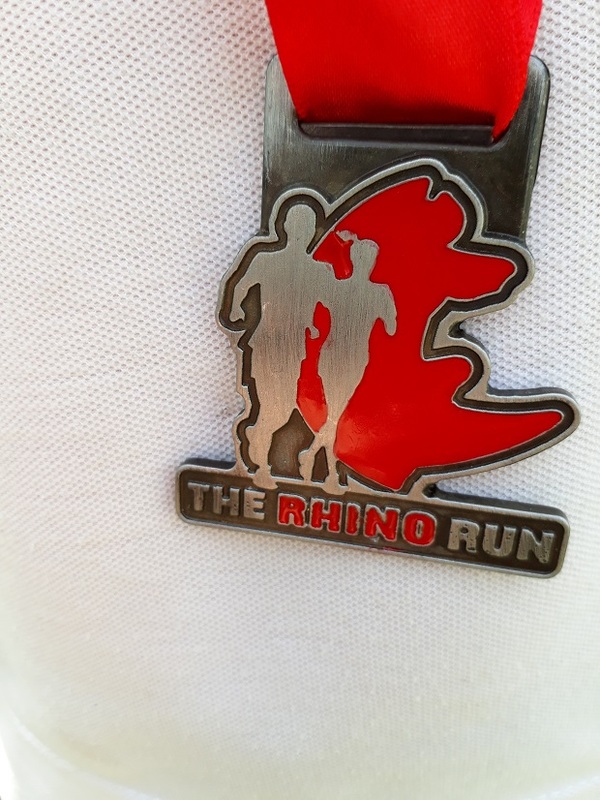 There is a local Rhino Run too. 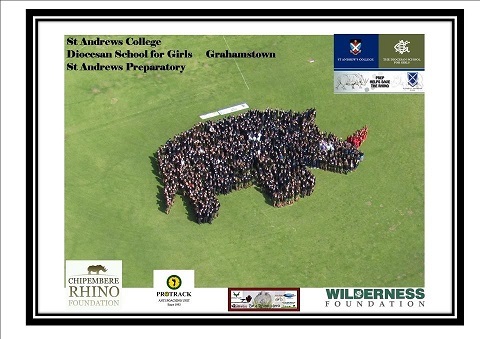 I have shown these images before and here they serve to illustrate the appreciation of rhinos that runs through our community – they live nearby and so reports of rhino poaching elsewhere in the country strikes a chord here: what about ‘our’ rhino; will they be safe? In June 2016, rhino poaching hit home – hard. It was reported that three suspects had been arrested at the Makana Resort in our town. 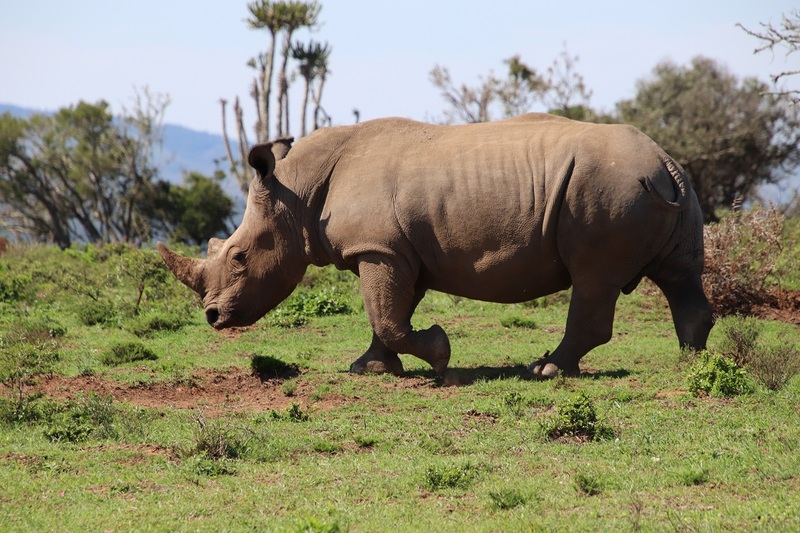 They were linked to the poaching of rhino at Buckland’s Private Game Reserve, where it is suspected the rhino was darted before it was killed and its horn hacked off. 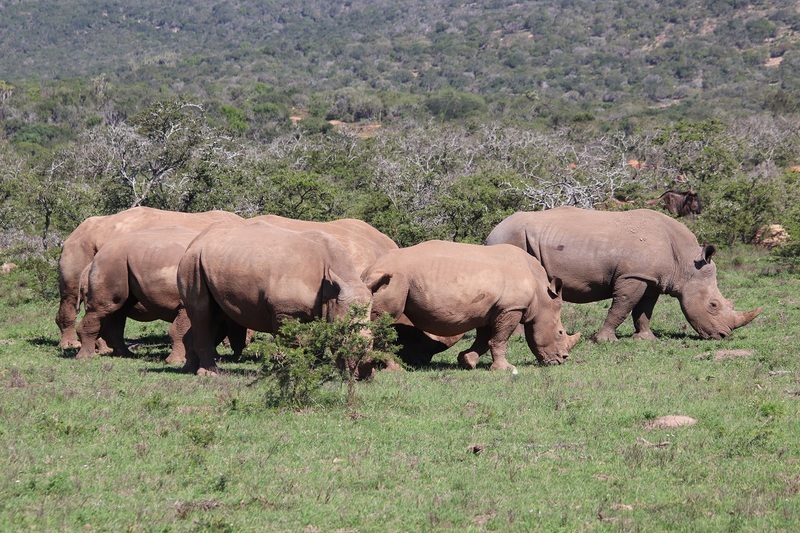 Even though the men had been caught red-handed in a chalet with a 10.27 kilograms of freshly harvested rhino horn valued at R1 million‚ a bloody saw‚ a dart gun and M99 tranquilising drug, as well as cell phones and SIM cards, it has taken until now for them to be brought to book. 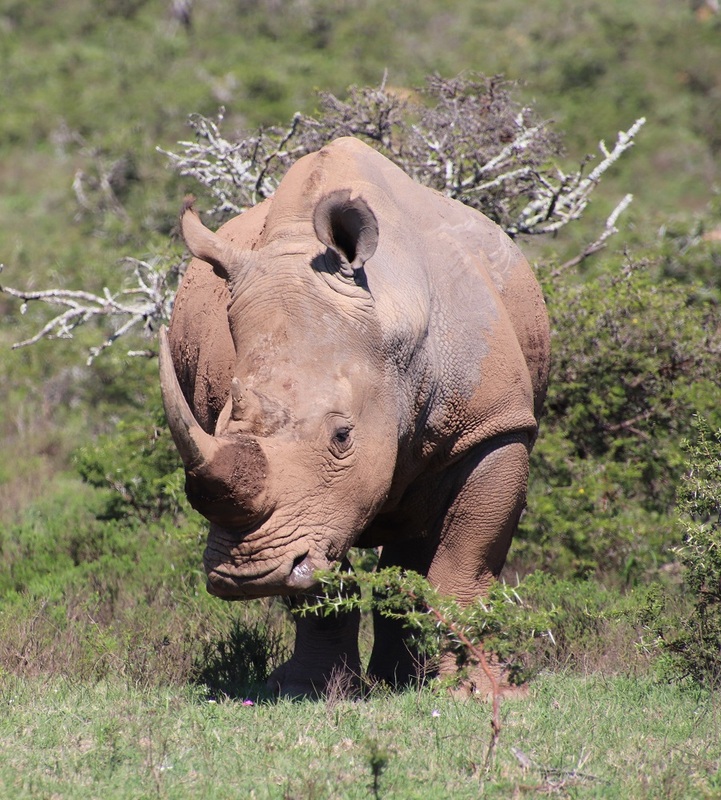 Earlier this month the three rhino poachers, 40-year-old Forget Ndlovu, 38-year-old Jabulani Ndlovu and 37-year-old Skhumbuzo Ndlovu, faced over 50 charges related to the poaching of 13 rhinos across the Eastern Cape and were sentenced to 25 years imprisonment each in the Grahamstown High Court.